I'm a sucker for retellings, especially when they involve fairytales, so I knew I had to check out this book. I'm so glad I did! It was a charming, fast-paced read, and it really puts a unique spin on the story of Cinderella. The storyline was a lot different than what I thought it would be. Most of it revolves around Jane and her family struggling to survive. But I enjoyed it because everything that happened was so unexpected. This story doesn't go the same way the original fairytale does, and I loved that! Plus, I like that the author introduced some new characters, like Jane's love interest and his family. The romance wasn't too insta-lovey, as I'd been afraid. Instead, Jane and the love interest (I can't for the life of me remember his name) develop a strong friendship before falling in love. I liked the strong cast of characters. They had their flaws, but they were each unique in their own way. Jane is a good main character. She's dependable, a hard worker, and easy to like. The only thing about her that bothered me is that she's a bit of a pushover at times; she seemed too willing to whatever her mother said, and didn't stuck up for herself enough. I felt so sorry for Jane's mother. She refuses to realize that they are poor and instead keeps believing in illusions of grandeur. It takes a while for reality to hit her. As for Cinderella, I didn't know what to make of her - at first, she seems like a spoiled brat, but by the end of the story we see that there's more to her than that. Although, I did feel confused by her character at times. She was supposed to be about thirteen, but she could act much younger than that. The writing was really good. I loved the descriptions of the old mansion that Jane and her family live in. I could picture it perfectly in my head. I thought there was a great balance of dialogue and description. Admittedly, some sections of the book can be a little slow, such as the long winter that takes place in the middle. But overall, it was pretty fast-paced and surprisingly entertaining. 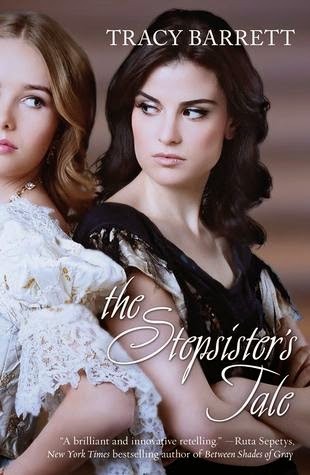 The Stepsister's Tale was a fun, unique read. It's nice to read a retelling that sticks out with its originality. I liked the character arcs and the way all the characters grew and changed throughout the story. And the ending was not what I expected at all. If you enjoy classic fairytales or retellings, this is definitely a book you want to read!